Fact: Crumpets are a glorious thing! I have tried numerous varieties but always come back to the superior Warburtons for their fluffiness and flavour, FYI if you haven’t tried their Giant Crumpets you really need to. I am however once again going out of ones comfort zone to give M&S Ultimate Crumpets a go. Amy over at Seeks New Treats has been loading my Insta feed with these crumpets so naturally I have had the craving for some. Ultimate crumpets is quite the bold claim from M&S and these differ from your average joe numbers because these are sourdough crumpets. Yes you read that right, sourdough crumpets! The Village Bakery who make these for M&S using a bespoke recipe are the first company to put sourdough in crumpets. Genius idea! A packet of 6 will set you back a whole £1.00, erm bargain alert! These have very much been under the radar as unless you read the small print you wouldn’t have a clue that they have the addition of a sourdough starter. Whipping them out the packet the crumpets were certainly thick, light and oddly rather dark underneath. To cook simply pop them in your toaster and toast for 1-2 minutes. These cooked far quicker than general crumpets, which I’m certainly not complaining about, I do have little patience when it comes to toasting. To touch they had a nice crispy top and bottom which translated in the first bite. They were incredibly light and fluffy inside with the slight signature tang that you expect from sourdough. The difference in flavour is evident but by no means overpowering. Topping wise I went for a wee bit of butter, sometimes simple is best however they were equally as scrummy with peanut butter (obviously) and marmite. 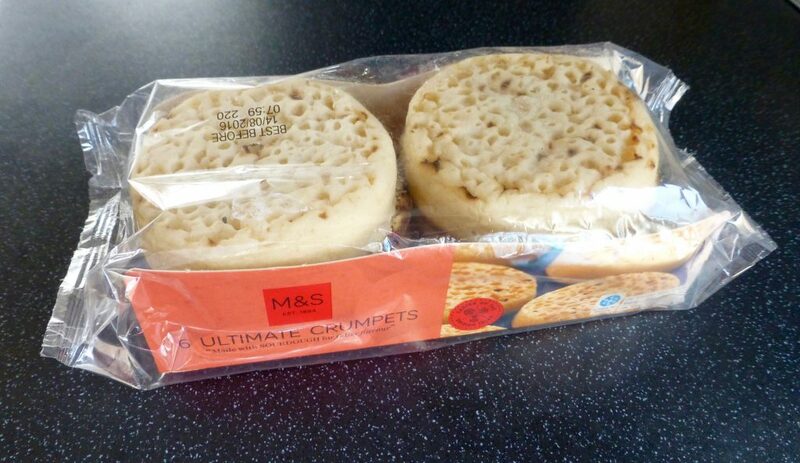 My oh my these M&S Ultimate Crumpets are scrumptious. 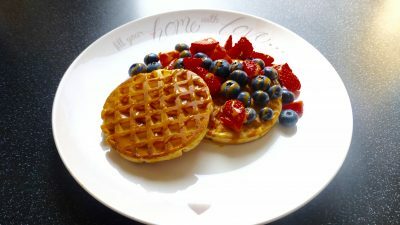 They hit all my crumpet requirements – thick, light and fluffy and I love the addition of sourdough which gave it that unique taste. 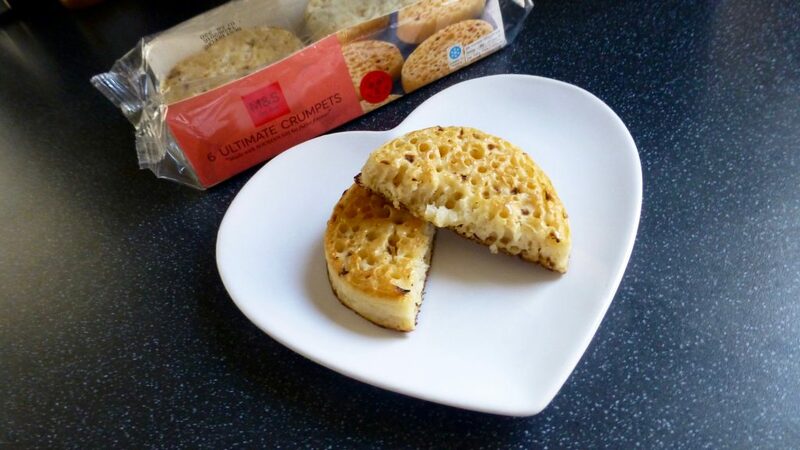 I am certainly buying these little beauties again and I suggest any crumpet lovers out there do the same. Simply pop in the toaster? My my, how easy you make it sound, and you’re quite right to. You neglect to mention however that unless your toaster is also a posh M&S oversized (I imagine) super-deluxe job, you might end up fishing it out with a wooden spoon and making a right mess of the kitchen. I’m not the sort of person to make snap judgments or give up at the first hurdle so it tried again. Four shredded crumpets later, two near electric shocks and one kicked dog, all that I’d achieved was starting an argument with my wife. But that doesn’t matter does it? Because these crumpets are sourdough. 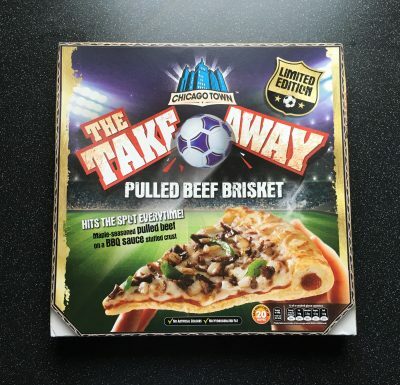 Maybe they should add some pulled pork to them?.. drizzle them with organic craft beer?? In short, I have forbidden my wife from buying this sort of rubbish from overpriced shops like M&S. 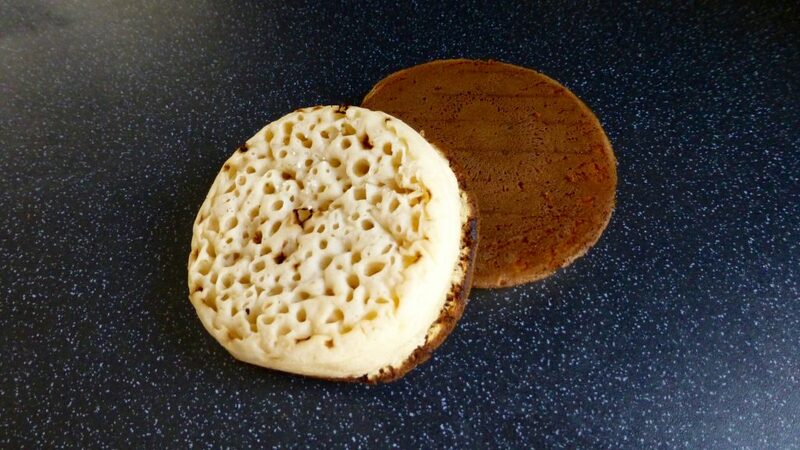 The next crumpets I have for breakfast will be from Morrisons Essentials range. They might not be as delightfully light and fluffy, but at the very least I wouldn’t still be hungry and most likely spending the night on the sofa. Wow you have certainly had some troubles here with crumpets, I have never heard of this happening to anyone before or indeed how a crumpet could shred in a toaster. I can assure you my toaster is just an average one and these £1.00 crumpets from M&S toasted fine and dandy.